11th & 12th Grade Students Home / 11th & 12th Grade Students / Finding the Right College / Spring College Fairs! Meet with representatives from colleges across the state, region, and country during upcoming College Fairs in Nebraska. If you’re a senior, take one more look at schools if you haven’t yet selected a college. If you’re a junior, this is the ideal time to narrow down the list of colleges that might be a good fit for you. If you’re a sophomore, use this event to kick-start your college planning. 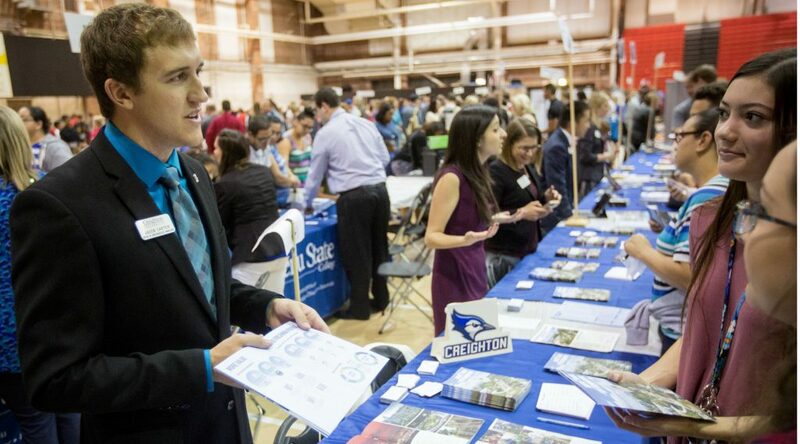 Before you attend a College Fair, register for a barcode at NebraskaCollegeFairs.org. Print the barcode—or save it to your smartphone—and take it to the fair so college representatives can scan your demographic information. To stay updated on details, follow EducationQuest on Twitter and Facebook.